Our eighth annual Whole Grain Sampling Day is oﬃcially in the books, and what a day it was! Our partners hosted almost 200 live events in 38 states around the country. 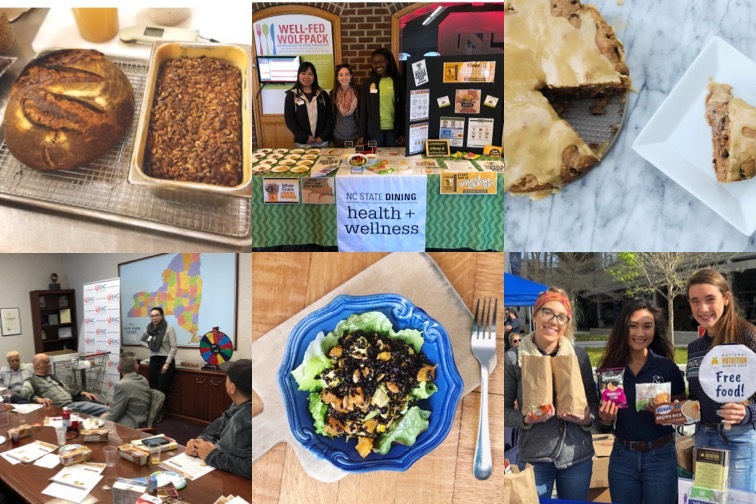 Our participants were a very diverse bunch, with supermarkets, universities, restaurants, food manufacturers, health centers, food banks, and bloggers all adding their voices, tweets, and samples to our celebration! It’s always a bit disappointing that we can’t be in a couple hundred places at once, soaking up all the whole grain excitement around the country. But that’s what photos are for, right? Here are a few highlights of events that caught our eye. 1. Massachusetts. Here in Boston, the Oldways Whole Grains Council teamed up with the Boston Public Market and Chef Jason Bond of Bondir, and took a deep dive into the world of whole grain bread baking. Jason brought along all sorts of ﬂavorful, colorful grains to play with including purple corn, sprouted rye, Kamut®, and sorghum. It was amazing to watch him eﬀortlessly combining all kinds of diﬀerent ﬂours and mix-ins and then turning out gorgeous, crusty, whole grain loaves. There’s little in life that’s more satisfying than a slice of fresh whole grain bread, still warm from the oven – we’re happy to assist with Jason’s sampling needs any day of the week. 2. Illinois. There are so many delicious ways to eat whole grains, and here at the WGC we know that being given the opportunity to taste something new is one of the best ways to broaden consumers’ culinary horizons! That’s what makes Whole Grain Sampling Day so much fun. With that in mind, the Cancer Wellness Center in Northbrook, IL set up a sampling station where patients and visitors could come build their own instant oatmeal bowls with toppings like coconut, ﬂax seeds, walnuts, and pumpkin seeds. And, after ﬁlling their bowls, patients were invited to show oﬀ their whole grain knowledge by taking a whole grain Fact or Fiction Quiz for a chance to win a raﬄe prize. 3. West Virginia. 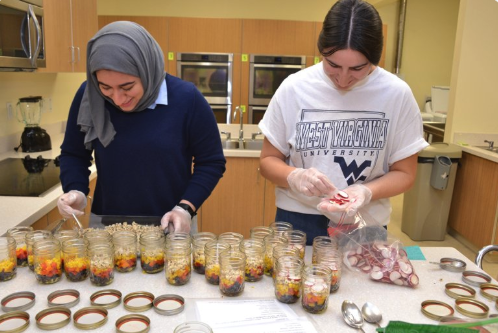 Cindy Gay, a nationally-recognized registered dietitian nutritionist, hosted a two-hour class sponsored by the West Virginia Academy of Nutrition and Dietetics highlighting a wide variety of whole grain cooking and baking techniques. This gathering of dietitian nutritionists, dietetic interns, grain growers, and life-long learners was treated to a fresh milling demonstration along with a delicious lunch of soup (with bulgur) and a layered grain & vegetable salad. They say knowledge is power, and we say take-home samples are even more powerful still! 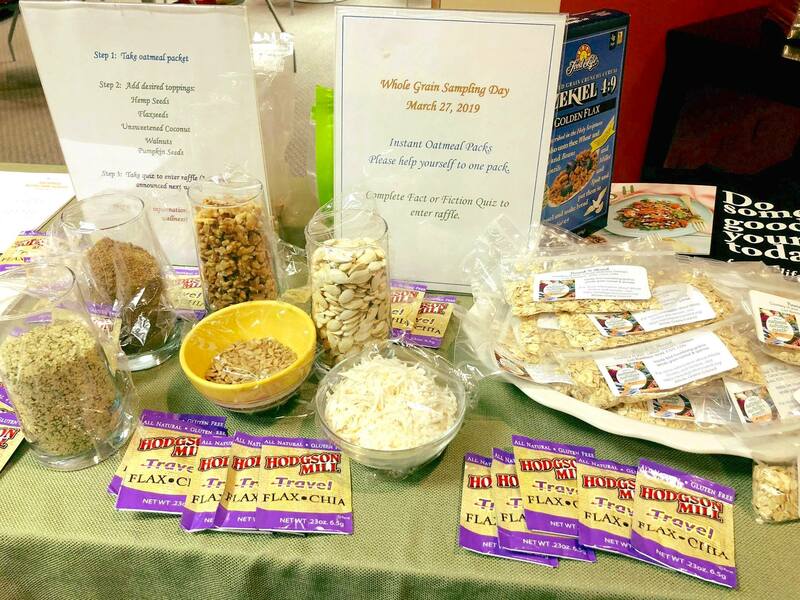 Cindy sent her class attendees home with goodie bags stuﬀed with locally-grown whole grain ﬂour, Kamut® kernels, and a sample of her very own fennel muesli – YUM! 4. Missouri. This year was the ﬁrst time we’ve have several blogger partners join us for our Whole Grain Sampling Day celebration, and what a fun addition they made! Kris from Bushel and a Plate blogged about a drool-worthy whole grain cornmeal cake recipe that’s become a favorite in her household. You can check out some of the other delicious blogger creations inspired by Whole Grain Sampling Day here.